All new degree-seeking and certificate students must attend a New Student Orientation session. Students will be advised, registered, and assigned a faculty advisor at this orientation session. Before attending, students should submit an application to attend the college, send required transcripts, complete inoculation requirements and complete any required testing in the Testing Center. Students whose applications are incomplete will not be able to register for classes at the orientation session. Students may register for New Student Orientation on the NSCC Web site. If a student is unable to attend an in-person New Student Orientation session, he or she should e-mail orientation@nscc.edu for information. Students must attend an in-person session to receive help with advising and registration. The Tennessee Board of Regents requires that students either demonstrate the appropriate skill levels in reading, writing and/or math before enrolling in college-level courses or that students enroll in appropriate co-requisite experiences with college-level courses to develop the necessary competency in those skills while performing college-level work. ACT/SAT scores, ACCUPLACER test scores, COMPASS test scores, or other relevant information determine whether a student needs to enroll in co-requisite courses in reading, writing, and/or math. Students who place into the lowest levels in reading, writing and math should take the necessary course and co-requisites in reading and writing before attempting mathematics. Students who are placed into a co-requisite experience in reading, writing or math may challenge the initial placement by taking the ACCUPLACER placement test in one or all three areas: Elementary Algebra, Reading Comprehension, or Sentence Skills. ACCUPLACER testing is administered by the Nashville State Testing Center. All entering students will be assigned to a placement level in English (Writing), Math, and Reading depending on their ACT, COMPASS, or SAT scores in those areas. Successful completion of Level 1 progresses students to Level 2. Students who completed all Learning Support competencies in those areas prior to Fall 2015 are categorized as Level 2. Students who speak English as a second language may receive special assistance in the Learning Center and from ESL specialists at the college. For further information, contact the ESL Coordinator on the Main campus at 615-353-3380 or on the Southeast Campus at 615-916-5591, or visit www.nscc.edu/admissions/esl. 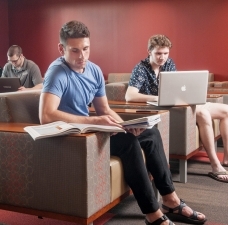 The Access Center (formerly Student Disability Services) provides assistance to students with documented physical, emotional, and/or learning disabilities. 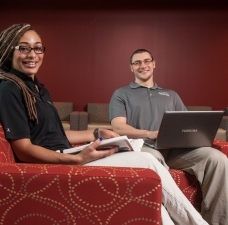 Access Center personnel assist eligible students and serve as a liaison between students and faculty. Access Center personnel also assist in testing and securing appropriate technology as needed for students. A minimum of two weeks is usually required to arrange classroom accommodations. For further information, contact the Access Services Coordinator in the Student Services Center at 615-353-3721, 615-353-3741, gina.jones@nscc.edu, andrew.mason@nscc.edu, or visit www.nscc.edu/access-center. Nashville State has honor, social, and professional clubs. Charters of all organizations are on file in the office of the Director of Special Projects and Student Life (S-115) as well as the Dean of Students (S-202). Any organization not chartered is not recognized as part of the college community. The SGA office is located in the Student Services Building, S-110, or e-mail sga@nscc.edu. The purpose of the Student Life Council is to promote cooperation and communication among student organizations. The Council consists of faculty/staff advisors and student officers and/or representatives of each registered organization. The Student Government Association Officers preside over the Council meetings. For more information, contact Student Life at 615-353-3026, or visit www.nscc.edu/student-life. Student identification cards (Student ID) display a photo and name of student cardholder and are valid as long as the student is actively enrolled in classes. The student photo ID cards are used for library privileges, admittance to some college-sponsored activities, and participation in Student SGA Elections. The photo ID is also used for admission to the Exercise Facility (H-207) with the rules/regulation and liability forms completed and submitted in the Photo ID Office. With each visit you will need to provide your photo ID. There are other community services and or activities that the photo ID can be used for discounts. The student photo id is valid as long as the student is enrolled. For more information, contact Student Life at 615-353-3026 (Room S-103), the Student Life Director’s Office at 615-353-3233 (Room S-115), or visit www.nscc.edu/student-life. The Student Photo ID Office on the Main Campus is located in the Student Services Center, Room S-107. Please visit www.nscc.edu/photo-id for hours of operation. Nashville State is a member of the Tennessee Consortium for International Studies (TnCIS). Study Abroad takes students around the world for summer semester experiences. To participate in Study Abroad, students must be at least 18 years old, have completed 12 college-level credits at Nashville State Community College, and be in good standing. For details about the programs, visit www.tncis.org. NSCC offers a scholarship of 50% of the TnCIS program cost. The scholarship is awarded on a competitive basis. If you are interested in study abroad or the study abroad scholarship, visit the Dean for Student Services in the Student Services Building, Room S-202, or call 615-353-3261 for an appointment. Nashville State Community College makes available to all students information relative to the NSCC security policies and procedures. The Security department’s crime statistics and policies may be found online at www.nscc.edu/safety-and-security. In the event any student should require the services of security personnel, officers are on duty 24 hours a day to ensure the safety and security of both students and campus facilities. The Security Office is located in A-34, and the Security Station is in the lobby of the Student Services Center, adjacent to the campus bookstore. Safety and Security assistance is provided at all NSCC campuses. Information about on-campus crime rates is available online. Procedures exist to handle student complaints, grievances and appeals. Information about the procedure is available in the Student Policy Handbook or from the Dean for Student Services at 615-353-3268 or 615-353-3261. 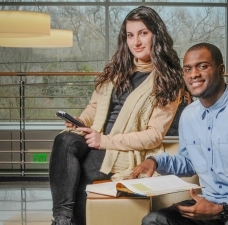 In an effort to provide a secure and stimulating atmosphere, Nashville State Community College has developed a Student Code of Conduct which is contained in the Nashville State Community College Student Policy Handbook . The Student Code of Conduct is intended to govern student conduct on the campuses of Nashville State Community College. When students are unable to pursue their academic work effectively, when their behavior is disruptive to the educational process of the college or detrimental to themselves or others, they may voluntarily withdraw, be involuntarily withdrawn, or be temporarily suspended from the college. Space for private and group study. Library resources are available 24 hours a day and are accessible from anywhere. All electronic resources can be accessed with a student A# and myNSCC password. The library houses over 70,000 print resources, but places a high value on electronic resources including ebooks and electronic databases. The library is proud to provide a technology-rich learning environment with laptops, iPads, cameras, graphing calculators, and other equipment available for student checkout. The library offers a variety of workshops on research and computer skills throughout the semester. For more information on library services visit nscc.libguides.com/libraryservices. To access materials not available at Nashville State, the library provides interlibrary loan services for current students and faculty. Nashville State students may also be issued a TALC card, which enables them to utilize any other TBR/UT library with check-out privileges. The Testing Center on the NSCC Main Campus is located in the Student Services Center, Room S-217. The Testing Center provides testing services for students, faculty, and staff. The Testing Center supports the Tennessee Board of Regents’ admission requirements by providing Accuplacer assessment testing in Elementary Algebra, Sentence Skills, and Reading for incoming students. The Testing Center provides a monitored location and proctoring for Nashville State students for departmental make-ups, web course exams, departmental exit exams, the Graduation Exit Exam, and TN eCampus exams. Students can use The Testing Center to take several other tests, including CLEP exams, the TEAS nursing exam, and Certiport exams for Microsoft Office certification. The Testing Center works with the Access Center to meet the needs of students with documented disabilities requiring testing accommodations. Testing hours vary throughout the semester and by campus. Visit www.nscc.edu/testing-center to access testing hours, guidelines, and links to each campus’s complete test information (test type/name, details, instructions, student resources, availability, and requirements), and to make a testing appointment at any Nashville State campus. Saturday test dates are available by appointment only. Saturday testing is only available on the Main Campus in Nashville. No minor children are allowed to be left on campus while a student is taking a test in the Testing Center. For more information, see the Children on Campus Policy . No cell phones or electronic devices are allowed in the Testing Center. Please review the Testing Center Student Guidelines (PDF) for more information.